On the inhale, the e-juice provides cherry, lime, orange and strawberry flavors. On the exhale, the taste of a syrupy snow cone fulfills your mouth and touches every taste bud. 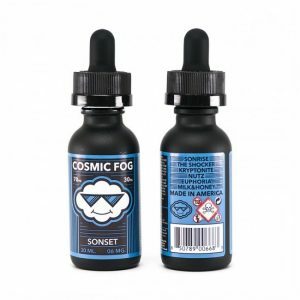 Summer treat from Strange Fruit vape juice brand! Strange Fruit Frooty Booty e-liquid taste like a rainbow snow cone. You will enjoy the whole palette of syrupy fruity tastes. 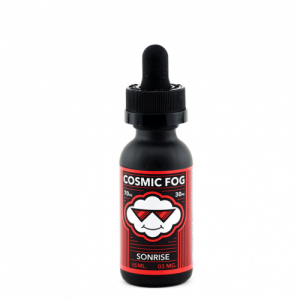 On the inhale, the e-juice provides cherry, lime, orange and strawberry flavors. On the exhale, the taste of a syrupy snow cone fulfills your mouth and touches every taste bud. What is more, different nicotine levels are provided. 0mg, 3mg, and 6mg. In terms of cloud production, Frooty Booty is also great. It has a 70/30 VG/PG ratio. It allows producing big vapor clouds. Speaking of packaging, Strange Fruit Frooty Booty comes in a 100ml chubby gorilla unicorn bottle. It looks very attractive due to its funny design with unicorn image. All in all, Frooty Booty e-juice made by Strange Fruit is a perfect sweet summer vape.